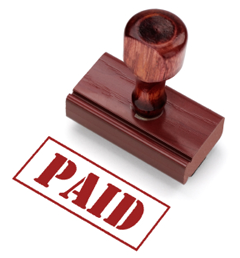 Does Paying Your Dues Ever Pay Off? Mike Brannon, Vice President, Old Line Customer Meat Company, (parent company to Roseda Farm in Baltimore, Maryland) took hours out of his busy schedule to help me understand the farming business. Last week, Mike and I drove to Annapolis where we met up with Steve and Jay, and the four of us headed toward Solomons Island. We boarded a boat, made our way to a crab-picking house, and finished the day with an oyster farm tour. After our extraordinary adventure, during which Steve both entertained and educated us about sea life and the environment, I asked him about his background. “I sold dead fish for 12 years,” he said. Tired though he was, Steve would go into the plant late Saturday or early Sunday, fillet the number of fish needed, and personally deliver the fish to his chef in time for the event. 12 years and thousands of dead fish later, hundreds of chefs throughout the area trusted and respected him, and counted on him as their sole fish provider. Steve probably knew more about each customer than they knew about themselves. Not surprisingly, his current position as the Director of Fisheries Marketing for the Maryland Department of Natural Resources, was created just for him. Steve’s story inspired me. He had poured himself into a job he loved, devoted 100% of himself to his customers, and had given up much of his personal life. Now that’s paying your dues. His payoff? He wound up with a life he loves, work that matches his passion, and freedom to make whatever choices he wants. Because the truth is, my customers (and leadership team) are not concerned with me – they’re concerned with the results I produce for them. Ultimately, my biggest take away from Steve was to care more about each customer’s success than about being successful – and success will find its way to you. Looking to build an inspired, collaborative team? Contact Misti Burmeister today. She’ll help you create the right culture and attract the right people. Thanks to Dexter Britain and Gillycuddy for their music contribution and LN Lurie for producing this podcast.